Note: Follow all Scotch® Brand package instructions for proper application and approved surfaces. 1: Cut two circles that are the same size out of cardboard, then cut a strip of cardboard that is slightly smaller than the circumference of the circles. 2: Apply glue to the edge of the cardboard strip and attach it to the flat side of a circle. 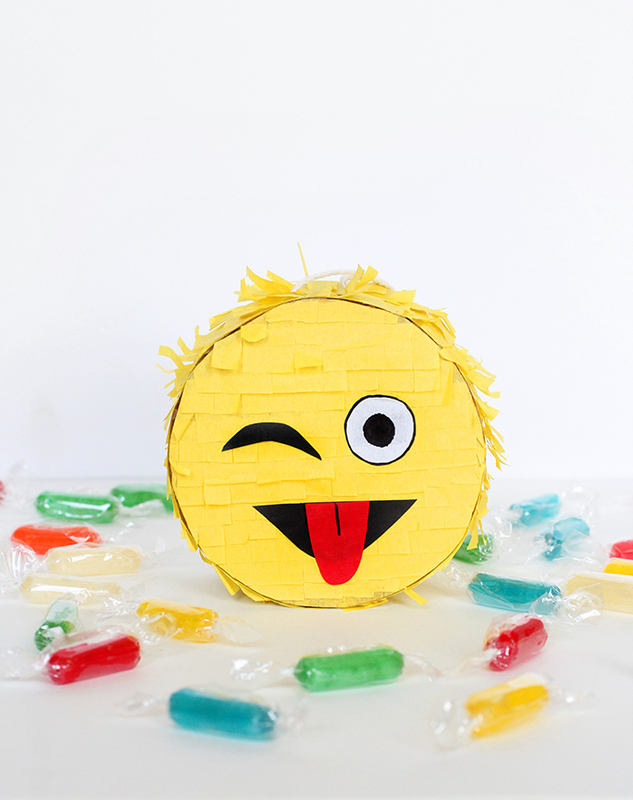 Before you repeat this step again on the other side, fill the base of your piñata with candy. 3: Once both circles have been glued to the cardboard strip, tape a piece of string to the top. 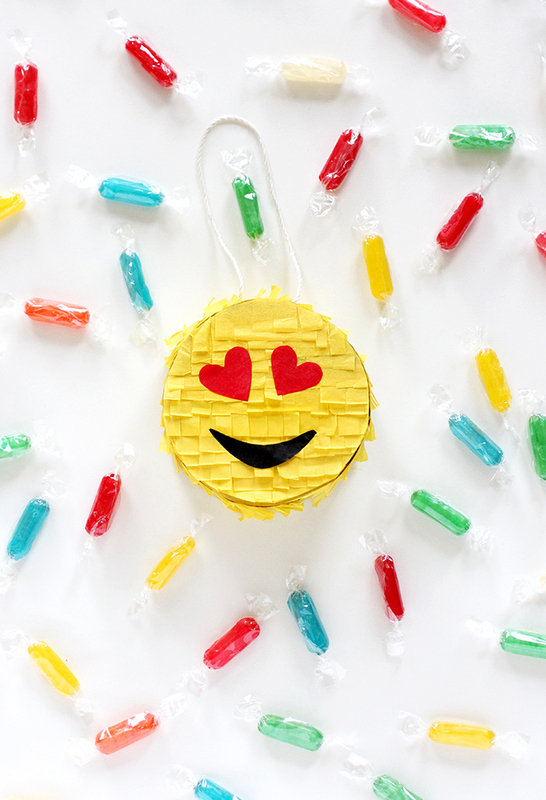 This will be what you hang the piñata from. 4: Next, take a sheet of yellow tissue paper and begin to cut long strips. Once your strips are cut, add fringes to the base of them with little cuts. 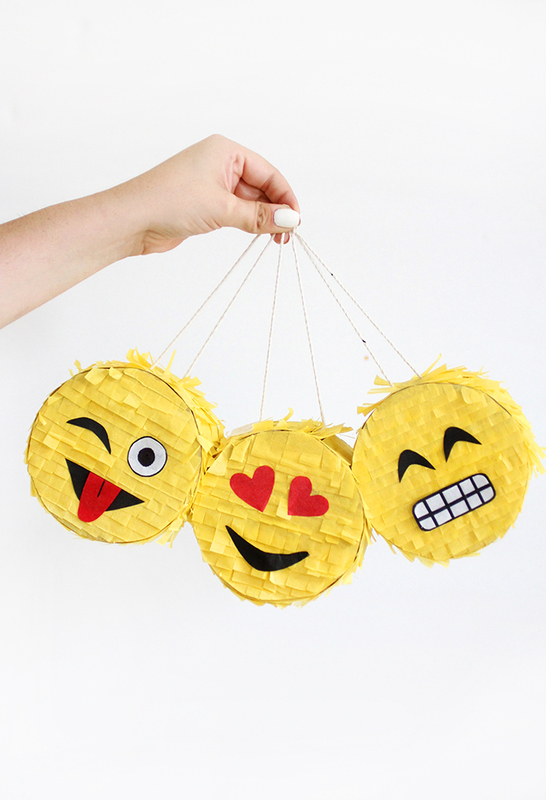 5: Cover the entire front circle of the piñata with Scotch® Double Sided Tape. 6: Then, from the bottom up, begin overlapping your tissue paper strips to the tape making sure that the fringes are hanging down. Once an entire side is covered, trim any excess tissue paper off that might be hanging over the edges. 7: On the other side of the piñata, cover it with Scotch® Double Sided Tape and strips of paper, like you did on the previous side, and trim the excess. 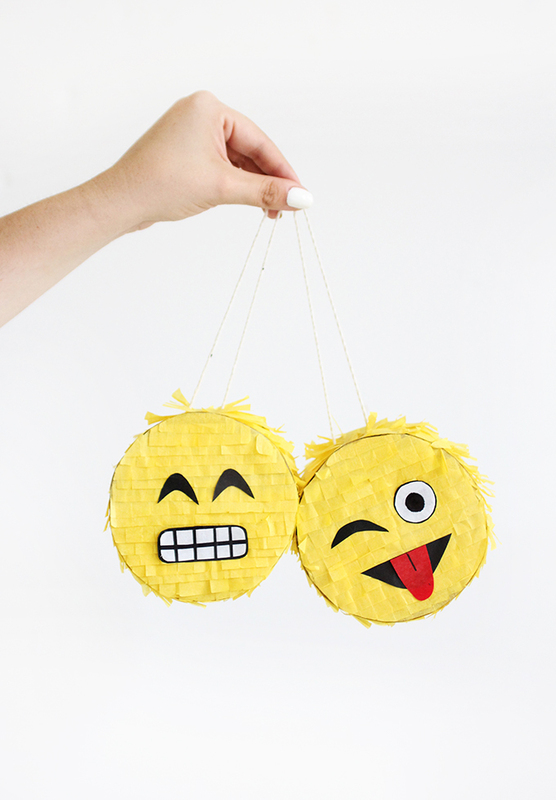 8: To cover the cardboard strip in the middle of the piñata, apply Scotch® Double Sided Tape to the outside edges of the circles and cover with tissue paper strips. Carefully trim any extra fringes off. 9: Cut your favorite emoji faces out of colored tissue paper and attach them using small pieces of Double Sided Stick Tape. 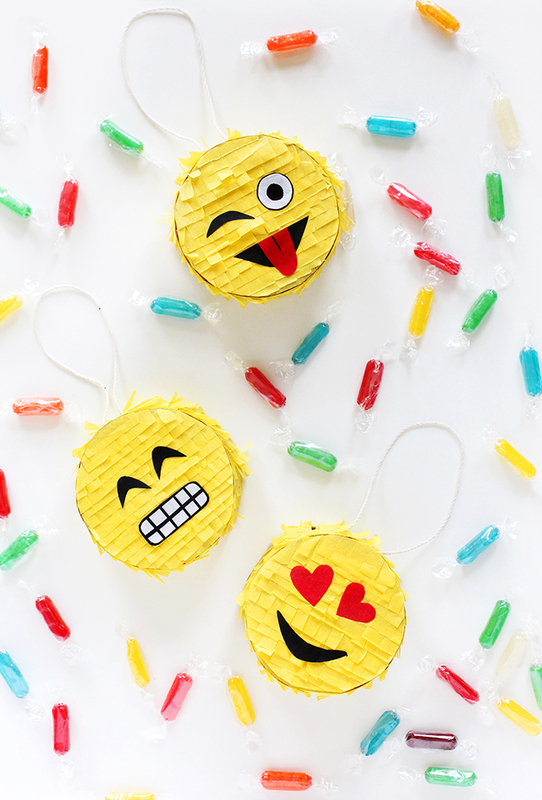 Now you’re ready for a fiesta with your emoji piñatas! This post has been made in collaboration in Scotch Brand, thank you for supporting my amazing sponsors who make I SPY DIY possible!